Amazing what a couple weeks time makes. Squash planted 1 week ago and 4 weeks. Next PostZoe has been moping for days since she lost her ball. She found it out in the field this morning. She’s so happy! Life is good. Oh no!! 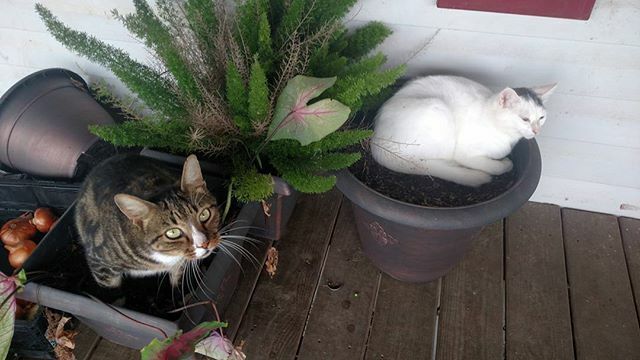 Now we’re up to a cat-igory 2!!!! Wet cats everywhere! 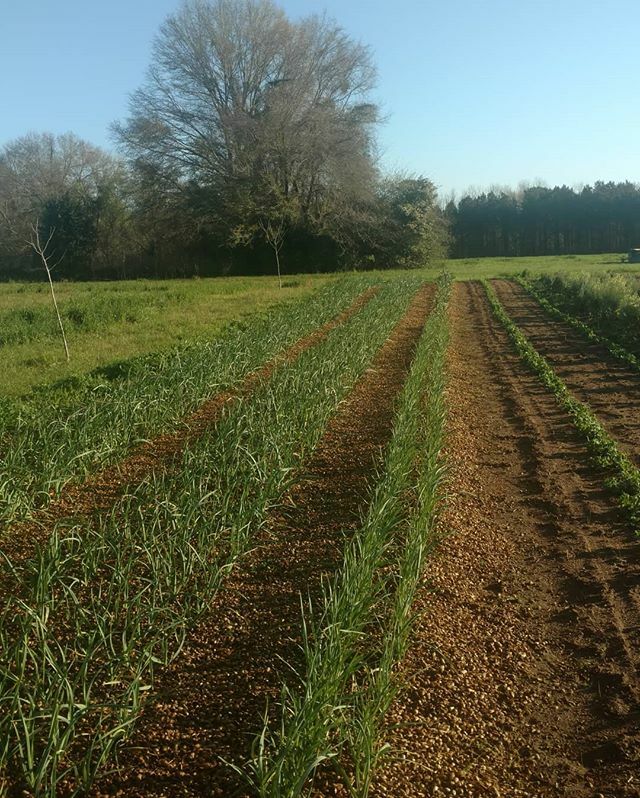 Something new in South Alabama… GARLIC! 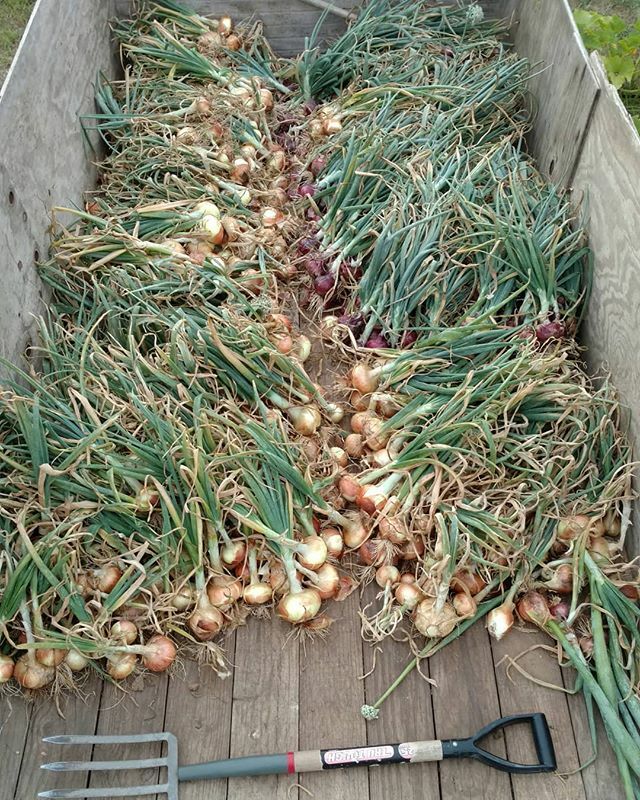 Green garlic is available now. Cloves will be available early summer. Check our website for how to get yours now. Click on the link in our profile.